Love the Dodgers? Hate the Dodgers? Either way, you’ll get a lot out of The Best Team Money Can Buy. In a shallow sense, the Dodgers are portrayed as the most expensive failure in the history of baseball due to early playoff exits in consecutive years. What makes this book exceptional, though, is author Molly Knight’s access and insight into the clubhouse, normally a place of sanctity for players, and the inner workings of a professional baseball club. Personality and ideological clashes abound, important decisions are made on strange whims, and tempers flare at inopportune times. If you’re looking for a story of a dysfunctional franchise filled with overpaid, prima donna players, this book certainly has that in abundance. But more importantly, we get an example of honest sports journalism, a mostly forgotten art, where a group of guys from vastly different backgrounds attempt to come together and bring home a championship. In The Best Team Money Can Buy, Molly Knight tells the story of the Dodgers' 2013 and 2014 seasons with detailed, previously unreported revelations. She shares a behind-the-scenes account of the astonishing sale of the Dodgers, as well as what the Dodgers actually knew in advance about rookie phenom and Cuban defector Yasiel Puig. We learn how close manager Don Mattingly was to losing his job during the 2013 season--and how the team turned around the season in the most remarkable fifty-game stretch of any team since World War II. Knight also provides a rare glimpse into the in-fighting and mistrust that derailed the team in 2014 and paints an intimate portrait of star pitcher Clayton Kershaw, including details about the record contract offer he turned down before accepting the richest contract any pitcher ever signed. Exciting, surprising, and filled with juicy details, "a must-read for fans of the Dodgers and all Los Angeles sports teams....Knight's undercover work is like none other" (Library Journal). 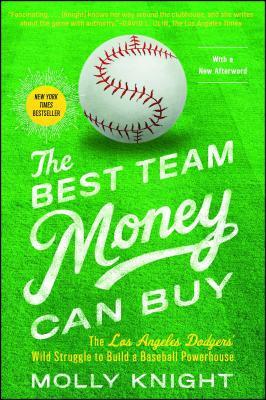 The Best Team Money Can Buy is filled with "fascinating perspectives" (Los Angeles Times) and "interesting anecdotes about some of baseball's most compelling figures" (The Sacramento Bee).